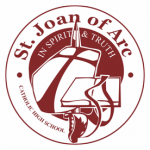 The Advanced Placement Program was added to St. Joan of Arc’s already broad spectrum of programming options in September 2016. The Advanced Placement Program (AP) is a highly academic international program. The curriculum is written by university professors and the program is administered by the College Board in the United States. Successful completion of AP exams earns students credits or advanced standing at most universities in Canada and Abroad. The preparation courses for the AP Program (Pre-AP courses) have been developed by York Catholic District School Board teachers in the areas of English, Mathematics, Science, and Canadian and World Studies. The Grade 9, 10, and 11 curriculum expectations have been modified and extended to align with the Grade 12 AP expectations that are evaluated on the international AP subject examination. Students will be assessed and evaluate according to the Ontario Ministry of Education documents for Mathematics, Science, English and Canadian & World Studies.